The 2013/2014 Premier League season saw 10 managers lose their jobs. That’s an astonishing figure, which means that half of the clubs in the top flight dispensed with the services of their managers over the course of less than twelve months. First to go was Paolo Di Canio, when Sunderland realized he wasn’t the right man for the job as early as September. He was quickly followed by Ian Holloway just a month later, and a further four managers – Steve Clarke, Andre Villas Boas, Martin Jol, and Malky Mackay – had all been shown the door before the New Year. Michael Laudrup, Chris Hughton and Rene Meulensteen were given their marching orders in spring, while David Moyes was put out of his misery at Manchester United before the end of April. Spurs and West Brom completed the ten, but at least had the decency to wait until the end of the season to part ways with Tim Sherwood and Pepe Mel. There are some managers (Arsene Wenger anyone?) who just don’t ever look like losing their jobs, and this is our selection of the bosses who would practically have to commit treason before they were given the ‘old tin tack’. Jose Mourinho (Chelsea) – Four points clear at the top of the table, undefeated so far this season, and looking invincible. The ‘special one’ has Chelsea playing at the top of their game. If you like a long shot, they don’t come much longer than this; but even odds of 100/1 101.00 +10000 100.00 100.00 -0.01 look a little short with Skybet. Ronald Koeman (Southampton) – Many people had the Saints down to struggle after this summer’s fire sale, but they are flying high in second place in the league, after a string of impressive results. If you fancy a second-half of the season capitulation, now might be the time to get on Koeman at 100/1 101.00 +10000 100.00 100.00 -0.01 with Betvictor, but it’s not a bet we’d recommend. Arsene Wenger (Arsenal) – The Schoolmaster has been at Arsenal since 1996, and changed the face of the club during that time. Ladbrokes go 66/1 67.00 +6600 66.00 66.00 -0.02 on the Frenchman, but there’s probably more chance of hell freezing over. Brendan Rodgers (Liverpool) – Despite a poor start to the season, last year’s heroics should ensure Rodgers gets at least another season at the helm. Coral will give you 50/1 51.00 +5000 50.00 50.00 -0.02 , but we think he’s safe as houses. Sam Allardyce (West Ham) – Big Sam was a favourite for the sack for most of last season, and endured a summer of speculation when he looked certain to go. 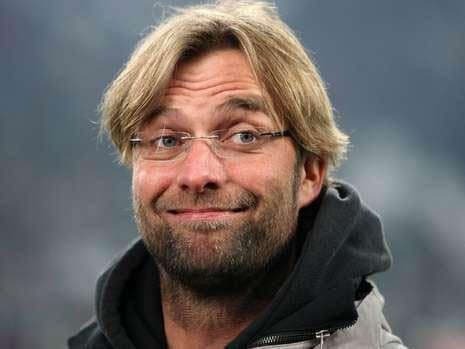 After a remarkable turnaround in form, a victory over Man City, and a fourth-placed league position, all of a sudden he looks untouchable. If the board didn’t sack him in the summer, they almost certainly won’t do it now. A fact compounded by odds that have drifted to 66/1 67.00 +6600 66.00 66.00 -0.02 with Betvictor. Louis Van Gaal (Manchester United) – After sticking with Fergie for all those years, Man United bucked their own trend by not giving David Moyes the support he needed. They’ve given it to Van Gaal in the form of multi-million pound transfer deals, so they’re hardly going to let the wily dutchman go are they? Best odds of 100/1 101.00 +10000 100.00 100.00 -0.01 if you think being outside the top four will be too much to bear for United’s owners. Manuel Pellegrini (Manchester City) – Won the title in his first year, but poor form in the Champions League this season and last, as well as being 7 points adrift of Chelsea could make him a shock candidate. Ladbrokes offer the best price of 66/1 67.00 +6600 66.00 66.00 -0.02 . Gary Monk (Swansea), Roberto Martinez (Everton), Steve Bruce (Hull) – Not to do them a disservice, but we’ve lumped these three in together. All between 6th and 10th in the league, good but not spectacular, and doing exactly what’s expected of them. Any one of them may need to start worrying if they go on a poor run of results, but there are plenty of managers in more precarious positions than these. Surprisingly Bruce is 14/1 15.00 +1400 14.00 14.00 -0.07 , with Ladbrokes, while coral go 66/1 67.00 +6600 66.00 66.00 -0.02 on Monk, and Betvictor are offering a massive 100/1 101.00 +10000 100.00 100.00 -0.01 on Martinez. Mario Pochettino (Spurs) – Not known for giving their managers long, Pochettino needs to start getting it right sooner rather than later. 11th in the league, and losing at home to Newcastle, is not what’s expected at White Hart Lane, and a few more bad results could see odds of 40/1 41.00 +4000 40.00 40.00 -0.03 with Paddy Power look very tempting. Mark Hughes (Stoke), Paul Lambert (Aston Villa) – Another two we’re sticking together, both have had fair starts to the season, and both should survive another season unscathed. However, these two clubs have higher expectations than their status deserves, and a prolonged run in the bottom six could see either manager out in his ear. Hughes is 66/1 67.00 +6600 66.00 66.00 -0.02 with Paddy Power, and you can get 40/1 41.00 +4000 40.00 40.00 -0.03 on Lambert with Skybet. Alan Irvine (West Brom) – Has the advantage of it being his first season in charge, and a young English goal scorer in Berahino who might just help to keep him safe. Best odds of 20/1 21.00 +2000 20.00 20.00 -0.05 with skybet, but we think there are others in more immediate danger. Alan Pardew (Newcastle) – Probably safe on account of the long contract he was awarded by Mike Ashley, and as long as the Newcastle owner stays put, Pardew is likely to be there too. However, he’s been on the end of an ongoing call from fans for his head, and the pressure may eventually tell. 16/1 17.00 +1600 16.00 16.00 -0.06 is the best you’ll get with skybet. Neil Warnock (Crystal Palace) – Took over after this season’s first casualty – Tony Pulis – left in August. Has made a decent start, but Palace tend to go through managers like hot dinners, and betvictor‘s 66/1 67.00 +6600 66.00 66.00 -0.02 is mighty tempting. Nigel Pearson (Leicester) – Only one place above the relegation zone, it could just be a matter of time before the Leicester hierarchy decide they want ‘more Premier League experience’. Betfair stand out at 40/1 41.00 +4000 40.00 40.00 -0.03 for Pearson. 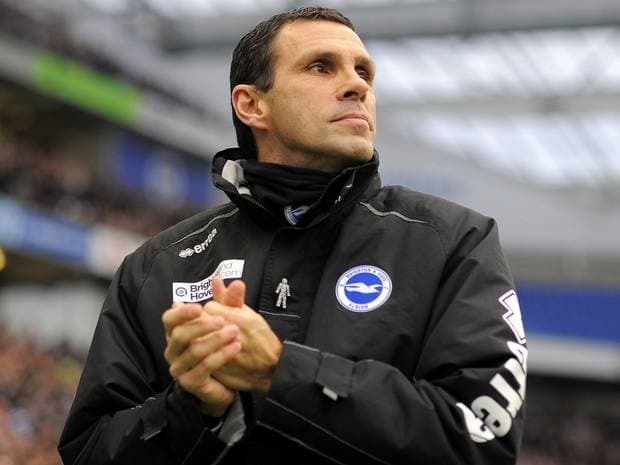 Gus Poyet (Sunderland) – Was available at 66/1 just a few short weeks ago, but an 8-0 humiliation at Southampton and some comical defending later, and he’s second favourite at 5/1 6.00 +500 5.00 5.00 -0.20 with ladbrokes. He can’t rely on the experience of the likes of Brown and O’Shea, and a few more bad results could see him in very hot water. Sean Dyche (Burnley) – ‘The Ginger Mourinho’, as Burnley fans affectionately call him, could easily be a victim of his own success. He had Burnley over-achieving to get promoted, and with just 4 points from 9 games they look nailed on to struggle. Will the board support the man who got them here, or will it be ‘time to move up to the next level’? Paddy Power are offering the best odds of 20/1 21.00 +2000 20.00 20.00 -0.05 for Dyche to be next to go. Harry Redknapp (QPR) – Bottom of the league with a team of mercenaries that he has already branded ‘unfit’. QPR could be going straight back down after a disastrous start, and Redknapp is already beginning to look like a beaten man. Odds-on across the board, Coral offer the best price of 5/6 1.83 -120 0.83 -1.20 0.83 . We’re looking beyond the obvious contenders in Poyet and Redknapp, and tipping a couple of managers at bigger odds. Sean Dyche has worked wonders to get Burnley to where they are, but the longer they go without a win, the bigger the monkey on the back. The Burnley board could hit the panic button sooner rather than later as they dream of Premier League survival. Mario Pochettino earned his move to Spurs after a blistering season on the South coast, but they’re another club that change managers as often as underpants. The further he gets from the top four, the closer he’ll get to the sack.